I see that there is a dormant thread for the Ugly Unicorn, and an active one for Jon's awesome Ultra Series toys, but I can't believe that there hasn't been a general Rampage thread yet. I'm putting out a special request for nice photos of Hagballs, as there seems to be little documentation out there. Show me your Hagballs! Nuggets303420 and Patrickg2k like this. Yeah, it's hard to believe that there hasn't been a Rampage Toys thread yet but I'm glad that there's one now! 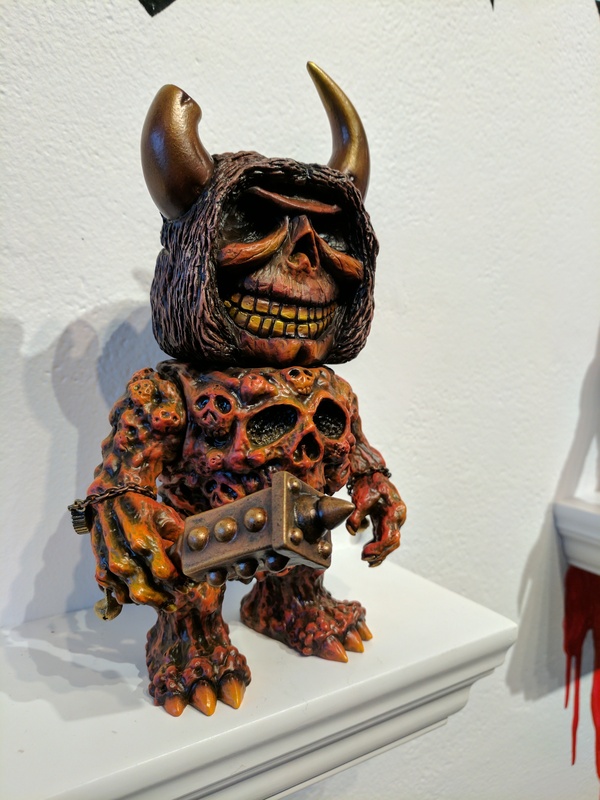 I attended the "Return of RAMPAGE" show at Clutter gallery on Saturday night (4/8/17) and it was AWESOME. Jon put together such a great show with a wide variety of offerings. I was first in line and I have to admit that making my decision was very tough. I wound up scoring an Alien Hunter and one of the Suns of Brodarr along with a bunch of minis. Here's a few pics from the show. Looks like there are still a few great pieces left over on Clutter's website. Michael McCreery, Joshua mike, deafmetal and 7 others like this. Patrickg2k, Headhunter and Purple Bat like this. Yeah but that ones just the Dinos. I think this one should consolidate those and just about everything else Rampage made or related. Iv got a few items from him already. None of the Dinos but handful of other random things. I really enjoy Rampages paint jobs on the pieces he puts out. TattooDougHardy, Patrickg2k, Purple Bat and 1 other person like this. Thanks everybody, especially @badteethcomics for the sleepy Hagball. 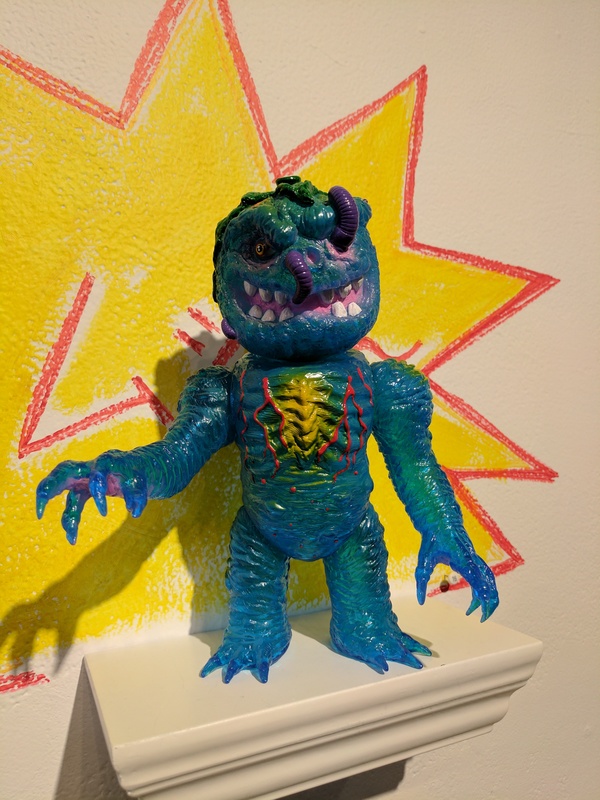 I've got to photograph my Splurrt X Rampage Uglier Unicorn & FigLab Hagball soon. Plus I managed to throw some money at Clutter in exchange for one of those sweeet hot pink Hagballs! Patrickg2k and AgentRavage like this. 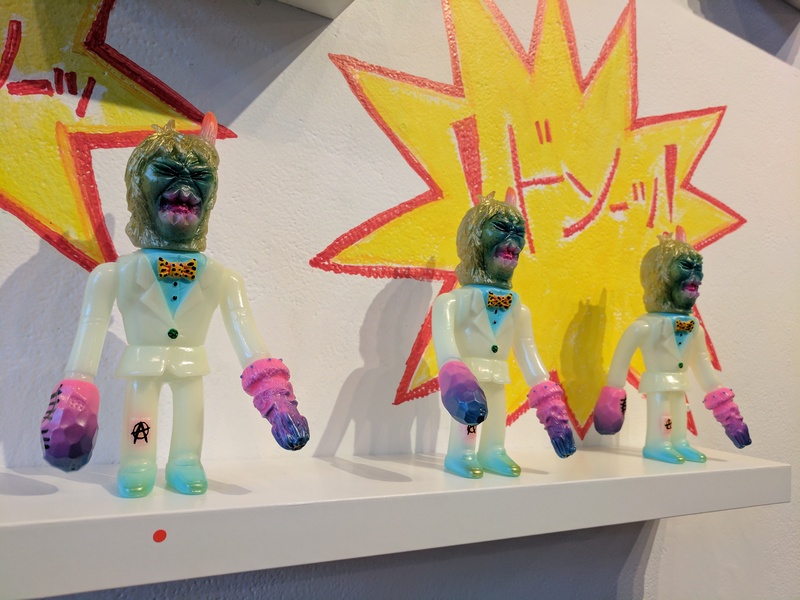 Nick has put together some really great reviews of recent sofubi shows and they all include high quality photos, if you haven't checked out his new blog/magazine yet, you really should! AgentRavage, trustpigs, boon velvet and 1 other person like this. Hey hey! Thanks for the sharing and stuff! Been ages since I had a look over here on SB. Always loads in the works. Excited to join Bwana for a big mega booth at 5 Points, and I'll be in California for hanging with PK and Bwana in July (SDCC time for the first time!). More Hagballs and the new Zombie Grinning Hag - five points! AgentRavage, MoonspellxRites, Nuggets303420 and 2 others like this. EDIT: Deleted because all the other posts are gone anyway. Why do I bother. Russblue11 and bunnyboy like this. Spoiler: Sorry, I couldn't resist trying to deflate the tension with a bad joke. had you by the Hagballs! decypher and Beantime like this. My minis haul from "The Return of RAMPAGE" at Clutter! I'm pretty stoked to receive my other pieces and also can't wait to see what Jon has in store for Five Points and Brodarrfest! Headhunter, rattanicus, HardDragon and 3 others like this. @Patrickg2k You already got your RoR stuff from Clutter? If so then I will be keeping my eye on the mail! Nope, sorry! I picked these up at the actual show. The micros and micro-run minis were available to take home right away. However, the show is ending soon so the pieces should be sent out in the next week or so. fredrickisdead and Purple Bat like this. Please guys how about take the toxic talk to Pm's and show both John & Jon the respect of not continuing this? Quit with the insults, it's clogging life's toilet. I love the paints Jon does on the SHB dolls, I want to inquire on getting him to paint the next run of Venus-X that beaK did with SHB. I loved his bear since I first saw it even though I do not own it, that was such a treat to see someone making a doll from historic references. Jon seems to really enjoy working on fun creative stufs and it shows. Life is too short to bicker all day. Go have some fun, relax and take time to breathe a little. If you end up pooping yourself please don't blame me, you took too deep of a breath and relaxed too damn hard. Balance is the key, farts are A-OK.
Grindingmachete, Patrickg2k, Purple Bat and 2 others like this. Guess I missed some silliness while I was enjoying my work and going rock climbing, People are silly - we all are sometimes. That's life. Anyway - thanks for the picture Patrick! 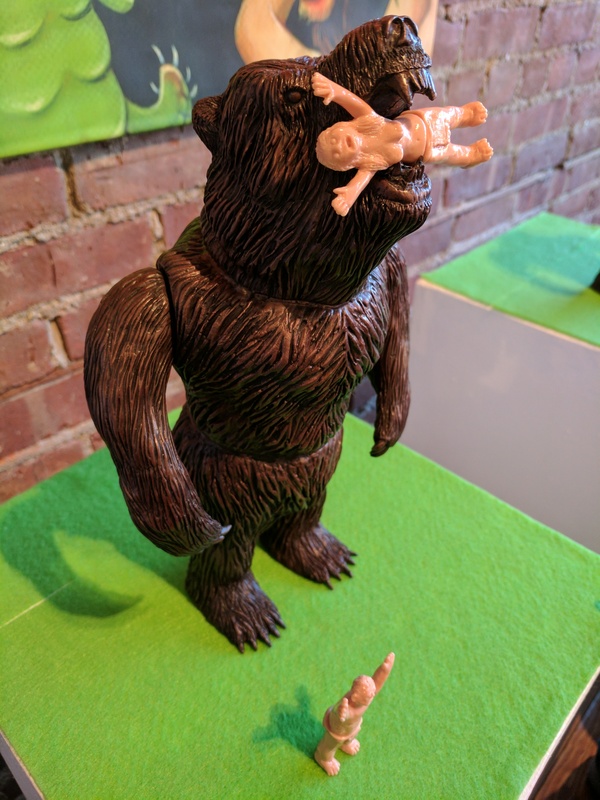 And, yes, the small stuff at Clutter was available for show attendees to take home that night. All of the bigger stuff and the stuff sold via the Clutter website should start shipping next week as far as I know! AgentRavage, Greasebat, Grindingmachete and 3 others like this. I can't wait to see which kaiju it is! Sorry this thread was bogged up with this discussion, I would have come in here had I been around. I am glad some more intelligent thoughts prevailed, and that is the last I will say on it. Wow Jon, I am so, so thrilled. The possibilities are endless, but my fungal fetish fantasies are sure being fondly fingered by the potential. Please keep us informed with the updates as you can. 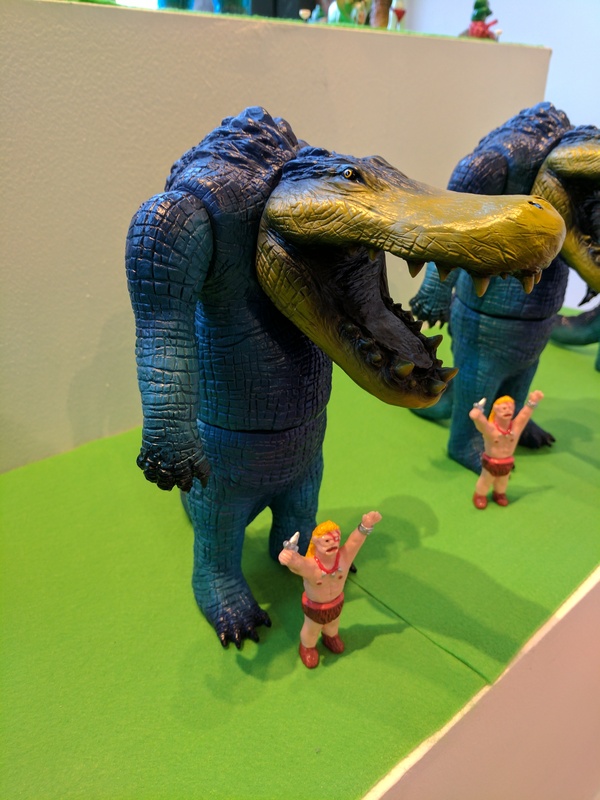 I doubt it's the TOHO King Kong but I can imagine how keen a Rampage version would be of either Kong. can't wait to see the new sculpt! 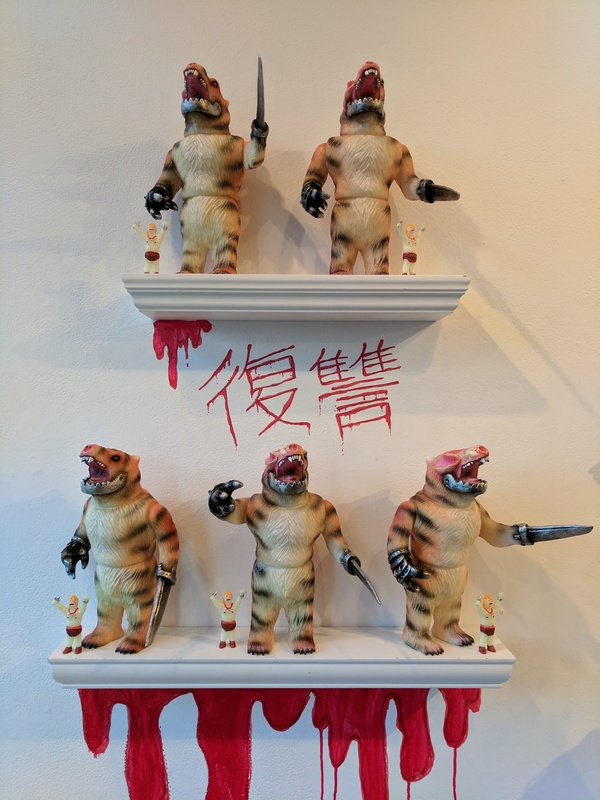 the kesagake's at clutter gallery were beautiful. Lucky those who got to see them in person. This thing is just freaking beautiful and Clutter Gallery gave me some of the remains from the factory pull to! Close up shot of the double pour with the glitter you can make out in the face and body. The little guy that almost looks like he has a skull face lol. deafmetal, 612DudeCrew, Purple Bat and 2 others like this. ^ Your Kesagake is a thing of beauty! And that snack is screaming "EAT ME"!!! Sweet! I'm glad they remembered to include the flash with that one. Could toss it, seeing as it was the only one that had it all connected that way! @decypher Here you are! In all of its Gara - glory!!! A great toy Robert, happy you came away from the event with one of these cute fellas. 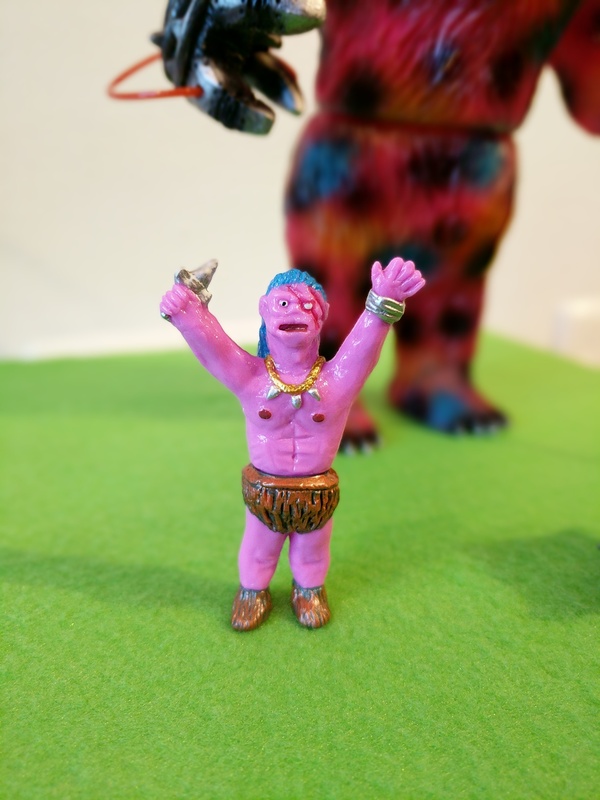 Somehow it really captures the spirit and whimsy of Jon's toys, and I think this paint scheme in particular is a great example of his personality/taste reflected from what we have seen thus far. Thank you, Steve! I was pretty elated that Jon allowed us to simply walk up and purchase them! I darted over pretty damn fast! He had so many great offerings on the table(his bears and cat tank were my second favorites), but I came into the show a bit financially unprepared. 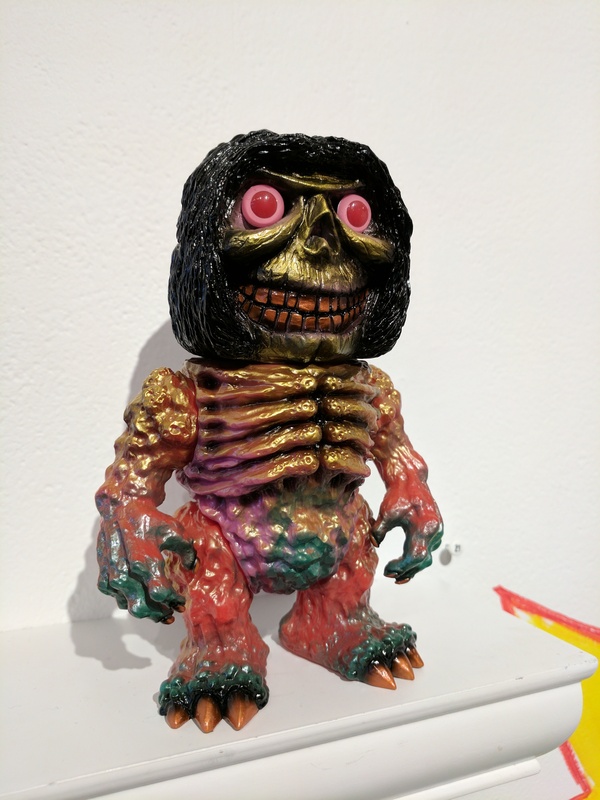 Even still, I'd have to say this is my favorite of his painted releases thus far! It is his take on a classic sculpt, but I feel this carries Jon's artistic personality in a very specific way. Wonderfully executed.